New Delhi: The United States’ spying of the Bharatiya Janata Party in 2010 when it was in the opposition provokes contrary reactions. The first, naturally and predictably, is outrage. This outrage is proximately shared by Angela Merkel of Germany whose cellphone was tapped by the United States’ National Security Agency which also spied on the BJP. Merkel has not forgiven the Barack Obama administration and her relations with the US president have lost their previous friendliness. The second reaction is of curiosity mingled with suspicions and disbelief. Why on earth would the NSA target India’s principal party of the opposition and give the ruling dispensation a pass? But suppose it hadn’t and we didn’t know. After all, the present revelation of US spying is a leak from the fugitive former NSA contractor Edward J. Snowden who has taken asylum in Russia. What if it was a Russian subplot to skew Prime Minister Narendra Modi’s maiden summit with President Barack Obama in autumn? We may never be sure. It puts you in mind of the controversial observation of the former US Secretary of Defence, Donald Rumsfeld, in another context about “known unknowns”. Espionage is not the most sensible thing when conducted in times of peace and that targets a friendly democracy. Exposure can be embarrassing and diplomatically ruinous. Espionage makes sense in war although it has failed more often there than succeeded and perhaps even in a situation of a cold war but peacetime operations are mostly about wasted resources and unwanted risks. A capable diplomatic mission can generate more valuable intelligence from allied or friendly countries than electronic spying. The case with friendly dictatorships would be different. But democracies are ipso facto open. Democracies transparently make the bulk of decisions and stable democracies are committed to long-term policy courses that change of governments won’t unilaterally alter. 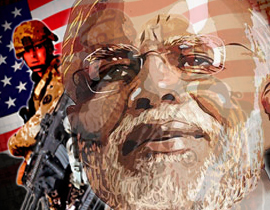 Narendra Modi wasn’t going to shun the United States for denying him a visa. The Bharatiya Janata Party as a whole has never shown marked anti-Americanism to warrant such spying. It was opposed to the civil nuclear deal but substantially moderated its stand after successfully sponsoring a tough nuclear liability law. It stood battered from a general election defeat one year prior to the spying and no one could have predicted its spectacular rise in 2014 or that Narendra Modi would become prime minister with such a compelling majority. In short, the United States will continue to spy on friends. Should this mean that Prime Minister Modi cancels his summit meeting with Obama? No. But India must take proactive steps on its own. At the time Narendra Modi was taking office, this writer warned of the heavy foreign surveillance of the prime minister’s secretariat. Has it been secured since? What about the rest of government? Have more proactive measures been taken? Not to protest or express outrage are politically unwise. The government must keep up the protest, especially so Washington realizes it has wronged a friendly country. But the surveillance will continue and the government needs aggressively to counter it. In the long-term, however, the United States will gain nothing by upsetting friends. When its history is recorded, from its rise from the ashes of Pax Britannica to its present decline, it will be marked by spectacular successes and general and remarkable failures, especially towards the end. As impeccably as America knows itself which makes it a great nation, it understands the world minimally. For all its hyper-power, espionage means and analytical treasures, it failed in Vietnam, Iran, Iraq and Afghanistan. It knows even less about rising India and risen China. America believes brute power and technology can bridge the gap. They won’t. It is too hubristic to invest in good, old-fashioned human understanding. Outrage about spying is necessary and imperative. India must also now deploy wisdom in engaging with arguably the most injudicious great power of all time.